A program designed to spread awareness of resources for those with a mental illness or struggling with a mental health crisis on the UW-Madison campus. The Purpose: The Bandana Project is a program designed to spread awareness of resources for those with mental illness. The lime green bandanas, to be distributed across campus, are attached to students’ backpacks. This indicates that they are a safe individual to approach with mental health-related issues, that they know where resources are, and that they hold a few resource cards (provided by the UWPD) with outlets to get help and support in times of crisis such as UHS, NAMI-UW, and National Crisis Lines. ​Not only does the program give tangible resourcefulness to an individual, but provides invaluable unspoken support. If someone sees a lime green bandana on the backpack of a stranger, it is a sign of stigma-free, quiet solidarity. They will know that they are not alone in their struggle. Interested in tracking our distribution? We have a HUGE goal to distribute over 2,000 bandanas on the UW-Madison campus by the end of Fall semester 2016, please keep track of how close we are to achieving our goal! 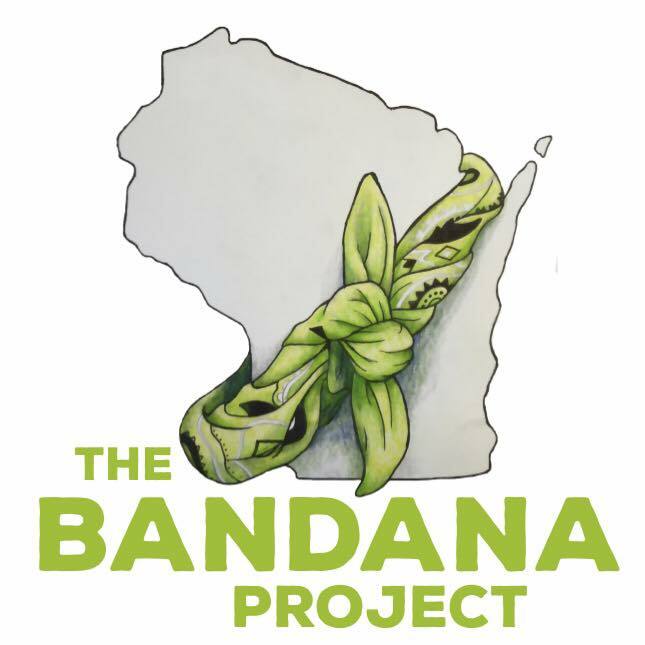 UWPD and UHS have been instrumental in getting The Bandana Project started here at the University of Wisconsin-Madison through financial contributions, guidance, and support. We cannot thank them enough.